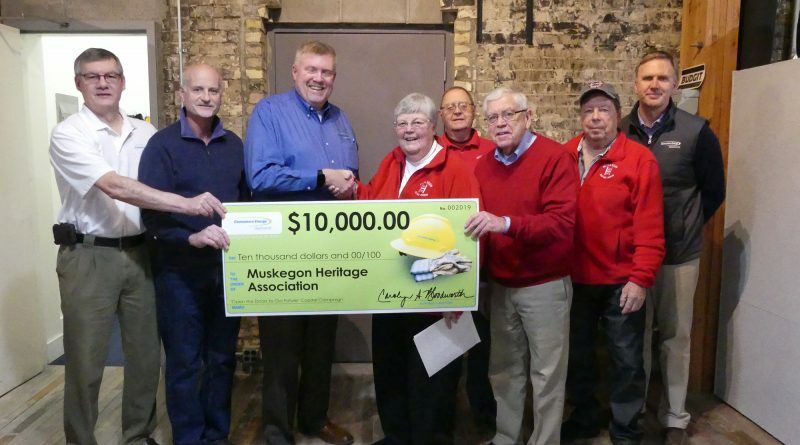 The Muskegon Heritage Museum is well on its way to becoming more accessible to its visitors, thanks to a $10,000 donation from the Consumers Energy Foundation. 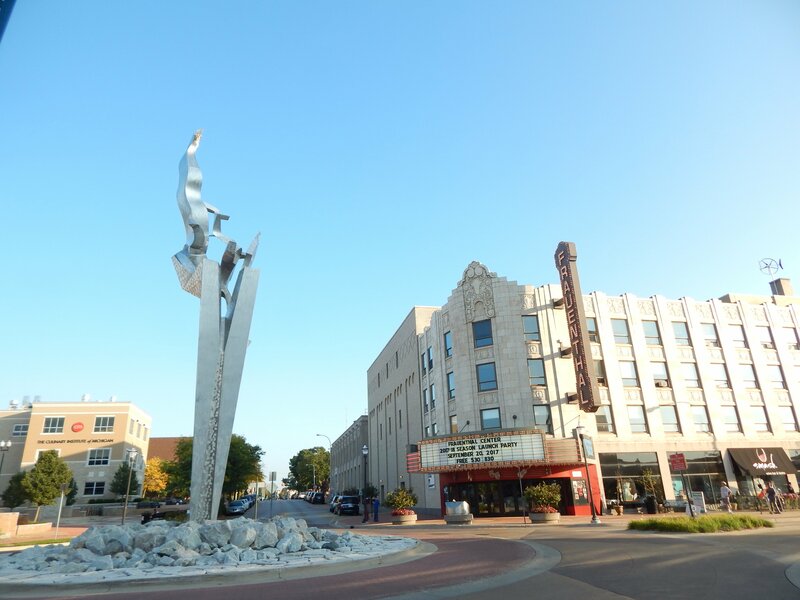 Presented to the museum on Wednesday, Jan. 16, the $10,000 will help to fund the installation of an elevator in the downtown museum, which will allow individuals who cannot climb stairs to be able to access the venue’s second and third floors. It too will make life far easier for volunteers who need to move heavy exhibit items throughout the museum that’s dedicated to showcasing the economic, industrial and social histories of Muskegon. Museum officials hope to have the elevator running by the time the museum reopens in mid-May. The donation from the Consumers Energy Foundation is part of $1.35 million the museum has raised for a capital campaign that kicked off in June 2018. Surpassing the museum’s original goal of securing $1.25 million, the campaign will, in addition to the elevator, fund educational programs, extended hours, exhibit development, and more. Hundreds of individuals, couples and companies from throughout Muskegon County have donated to the museum, which is run entirely by volunteers. About 80 individuals provide 4,500 volunteer hours each year, which Paul DeHorn, chairman of the museum’s board of directors, previously noted ends up being worth more than $100,000. 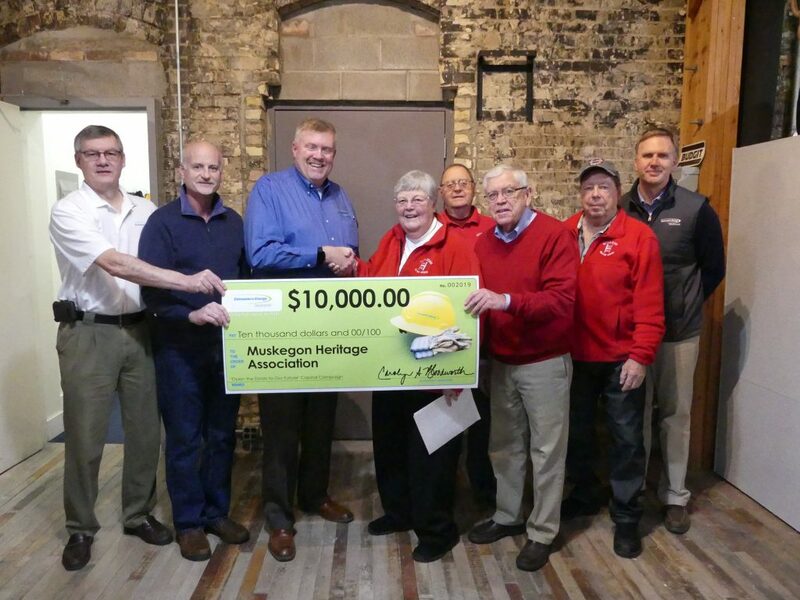 Anne Dake, who runs the Muskegon Heritage Museum with her husband, Allan Dake, said she is thrilled to receive support from Consumers Energy Foundation, as well as from so many others. The Muskegon Heritage Museum is located at 561 W. Western Ave. in downtown Muskegon. It is open from mid-May to mid-October, and the museum is available by appointment all year. To learn more about donating to the museum, please go here. For more information, please call (231) 722-1363 or visit the museum’s website by clicking here.